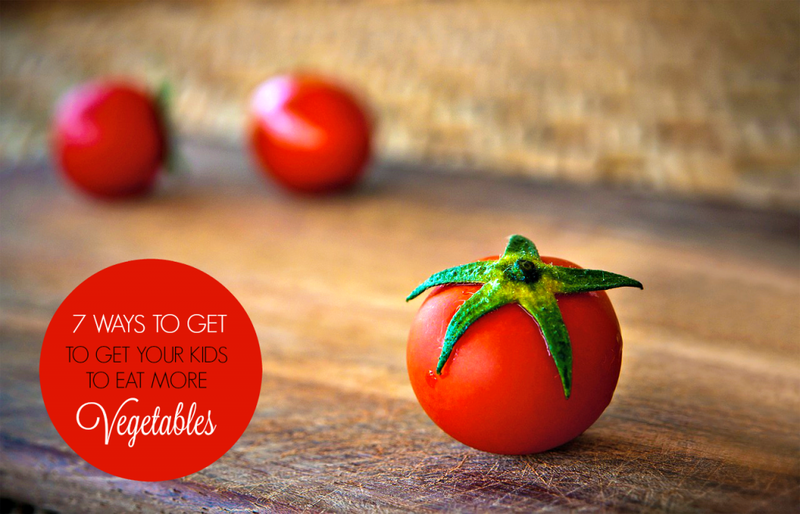 7 Proven Ways to Get Your Kids to Eat More Vegetables. Are vegetables the devil in your house? Do they have some terrifying hex placed upon them that your children will not go near them? No matter how you flavour them, how you cook them, they are still veggies and kids have a keen radar for these things y’know? But, I’ve found away to stay under the radar and sneak them in with stealth. That’s the situation in my house, the girls will not eat vegetables for the life of them. They like certain veggies for certain amounts of time. For example, I cook dishes with green beans and they absolutely love it. I cook it in different ways to keep them interested and then a few months down the road when I decide to make green beans they say, “No thanks Mom, I don’t like green beans anymore. I used to, but not anymore.” That’s what it’s like for almost every veggie since. It’s an everyday and constant battle to get veggies in their diet. But, I’ve come to the conclusion that it doesn’t have to be a losing battle. So, I initiate what Hubby and I call Project V. This project is always on full effect and is pretty common sense if you think about it, though most of us don’t and throw in the towel! Perhaps a bit early at times. Don’t fret, I did until I put my thinking cap on. Well, what is Project V you ask? It’s a silly acronym that I and Hubby concocted when we were slyly and evilly laughing when it worked. It’s simple, Project Vegetable. LOL. The girls haven’t figured it out yet so it’s our code word. 1. Let their creativity flow! You gotta be a bit open about veggies and their importance to their benefits in an everyday healthy diet. After all, eating veggies isn’t punishment, although most kids view it that way! I have Gabs help with making a salad, letting her choose her toppings. Most importantly, I allow her to choose her own dressing. The one she is feeling from the wide plethora of the light dressings I have in my fridge. She likes testing them (though she knows how they already taste) and deciding what flavor she wants. This gives her options, independence and expands her palate. So, instead of premixing a dressing for everyone. 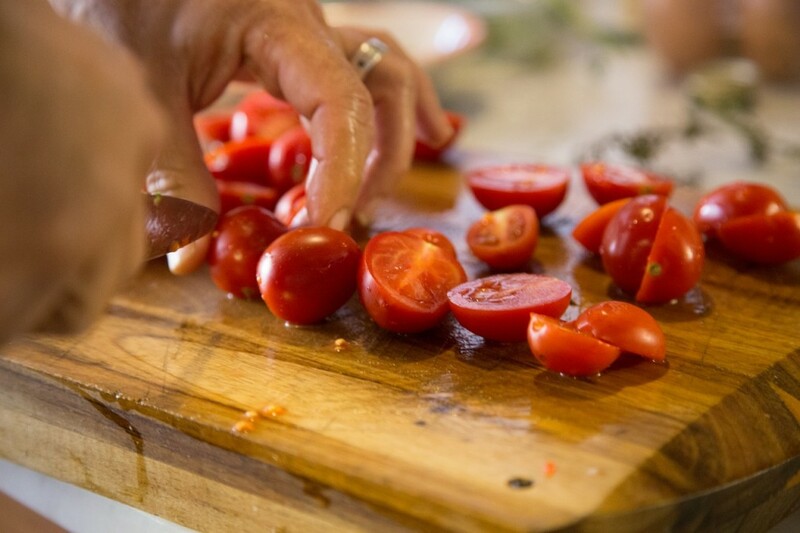 Put aside a bowl of salad, let them pick the toppings and let them choose the dressing. They are more bound to eat it this way. Every kid loves to dip. 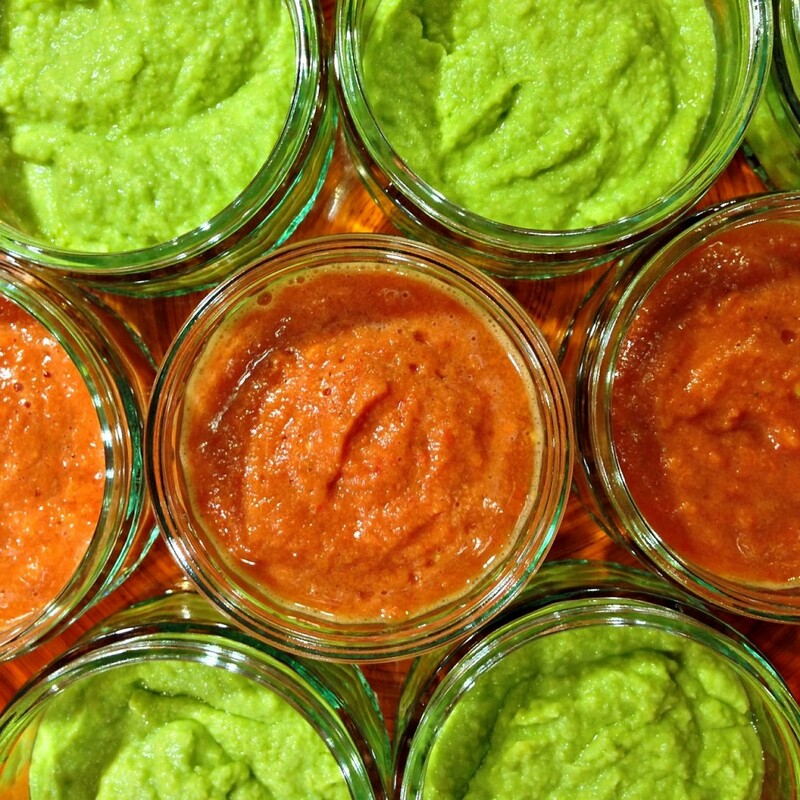 If you’re making fresh veggies makes sure you have a good choice of dips for them to choose from. Either light salad dressings or make your own. I know Gabs loves to dip. This also works with fruit but most kids like fruits because they looove the sweetness. But, this is a way to introduce them to new things as well. Add fun shaped cheese and it’s a hit! One of the most popular and healthy dips are guacamole and hummus. Use veggies to dip and it’s gold. This is where the sneaky stuff comes into play. Having pasta? Switch to whole wheat or tri-color. 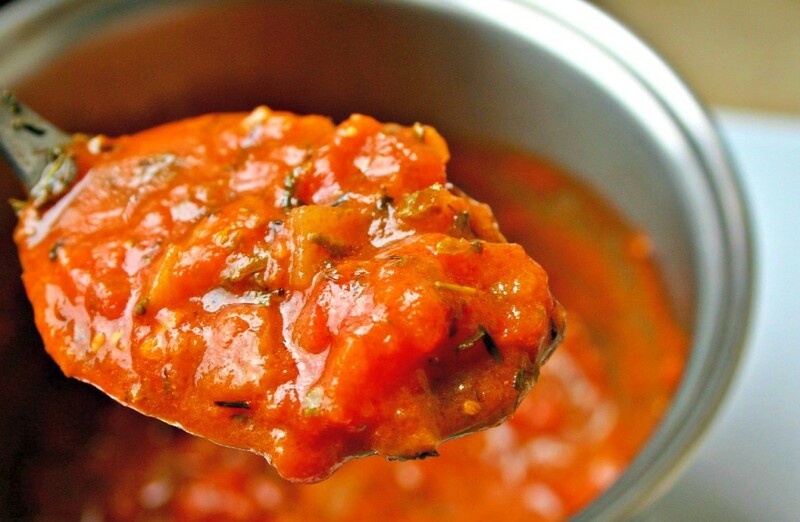 But, before you use your marinara, bust out your blender. Chop up carrots, onions, garlic, zucchini, mushrooms, spices for taste or anything else you would like and put the marinara in the blender, add the veggies and blend! The only noticeable difference is the colour but once you add it to your pasta, top it off with partly skimmed light Mozzarella and you are good to go! 4. Dice, Dice and DICE. Whenever I cook anything, I try to add veggies into it. The only way they can go unnoticed is to dice them so finely and minuscule. Yes, it takes more time (depends on your knife skills =P LOL) but, it’s worth it. You also end up with a lot more veggies and more flavour. A good example when dicing was a hit was when I made chicken meat balls. I diced and chopped onions and green peppers into the meat and when they were cooked, I didn’t even notice them! This works well with meatloaf or burgers and even eggs! You can also add finely diced veggies to soups, rice and mashed potatoes. They want fries? Give them the sweeter version! Gabs likes them because of their sweetness but even more in fry form! There are uberly numerous ways to make these but remember kids love finger foods! Have them sweet or have them salty. 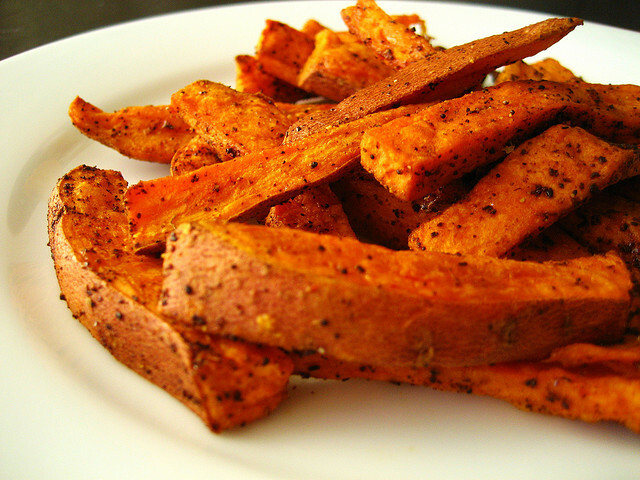 Most kids love sweet potatoes! You can always entice them with a light blue cheese or ranch dressing. If you’re having mashed potatoes for a side for dinner. Try making it out of cauliflower. Yes, you heard right. Cauliflower has the same consistency as potatoes and can easily be made exactly in the same way you make mashed potatoes. Remember to blend in some onion and garlic or finely dice it in! Another way to enjoy cauliflower is to make pizza crust from it. The kids will love topping it with their fave ingredients and they won’t even know how good it is for them! 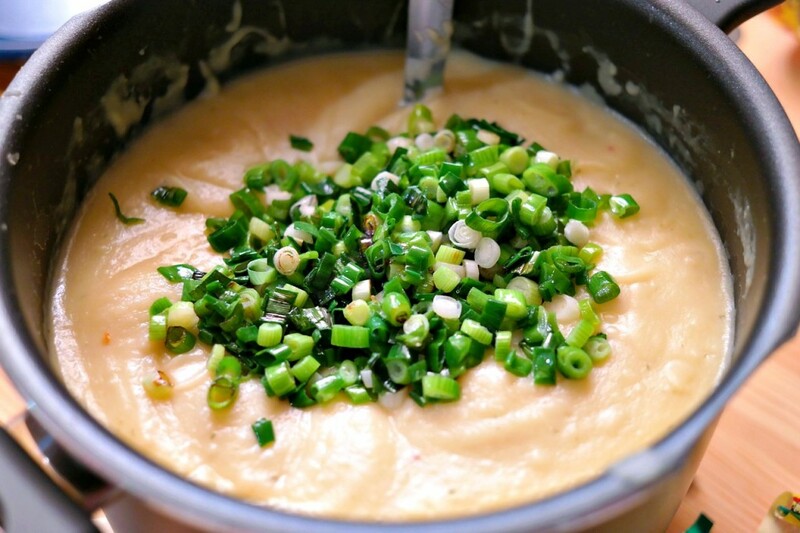 Give them soup, one of the best way to get them to have all the nutrients of vegetables is to puree them into a soup. You can add cheese and a side of multi-grain crackers to give it texture and creaminess. 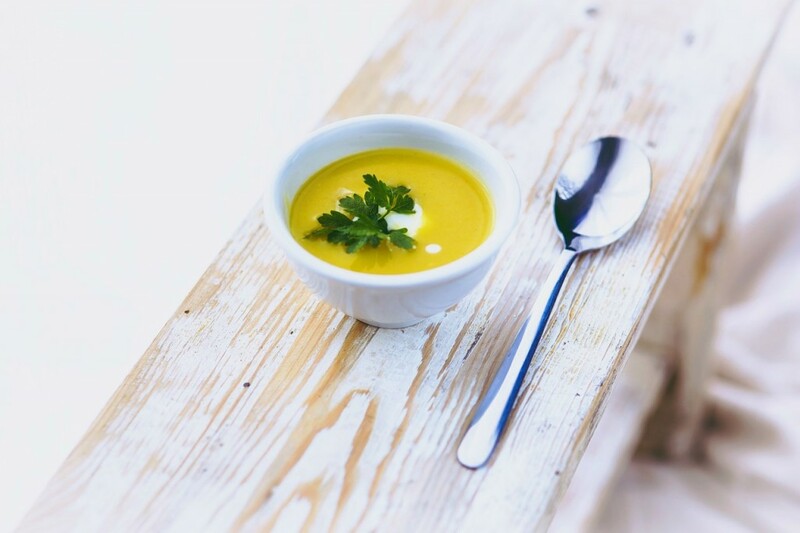 Of course, you can make soups cream-based and that gives it even more flavour! These are just a few ways that I get the girls to eat veggies whether they like it or not. Project V is always in effect. Give it a try with your little ones and let me know how it goes! If worse comes to worse, give them V8! The girls will drink the tomato version but to change it up I buy the one with the fruit as well. 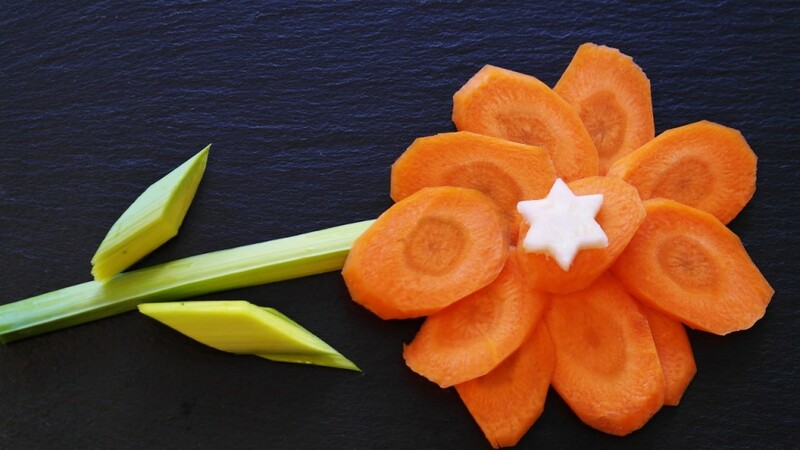 Remember, the best way to get kids to like veggies is by example! That’s why I have Hubby for because goodness knows, I have to force myself to eat them! I’m glad Hubby loves them and our kids will always see him eat them all!